Much like mascara, I'm always looking for the next great concealer. I've tried so many in my day however, I thought I'd share my current favorite. Remember a few weeks ago when I posted about my Sephora Color Match Session? 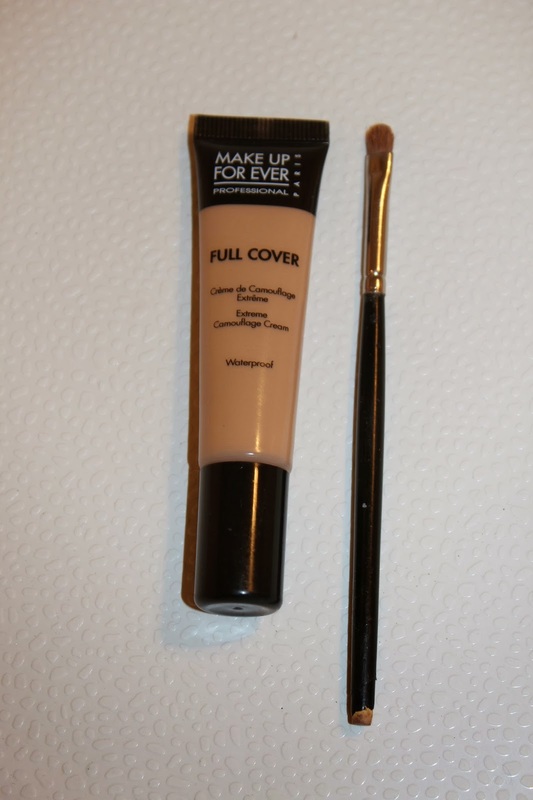 Well, not only did I walk away with a new foundation but also a new concealer. I've always heard great things about Make Up For Ever but I've never tried any of their products besides mascara which I wasn't 100% in love with. Their concealer though, out of this world! I think my favorite thing about it is the fact that it comes in a tube. My mom is actually the one that has been looking high and low for a concealer in a tube and we both walked out of Sephora with one of these. Because it's in a tube, there's less of a chance that you can spread bacteria from blemishes, etc., which is a huge win in my book. Secondly, a little bit goes a long way. This baby will last a long time. Thirdly, it's waterproof. Enough said. Last but certainly not least, it gives some serious, legit coverage. Lemme tell ya...this stuff can cover up your worst zit. Promise. I apply it with a small concealer brush that is old as dirt but it's probably the best brush I own. After I apply it on the "problem areas," I dab it in with my finger. And bam...full coverage! If you are in the market for a new concealer, definitely check this one out. I really think you will like it. For what it's worth, I use color #7. Already tried it? What are your thoughts? Thanks for sharing the color, you knew I"d ask;)!